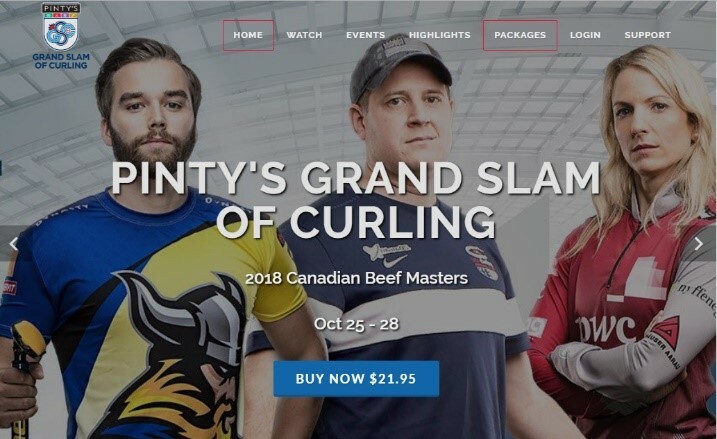 October 24, 2018 Vancouver, BC – Yare Media Group Inc. revealed today that the Pinty’s Grand Slam of Curling international subscriptions have increased 69% over the same period in 2017. The service delivers all seven Grand Slam tournaments to curling fans outside of Canada, and features world-class curlers including 2018 Olympic bronze, silver and gold medalists. The events are delivered in HD live and on demand for delayed viewing. Subscriptions from the United States top the list of international fans followed by Sweden, the United Kingdom, Japan, Switzerland, Republic of Korea and Norway. Fans from over 40 countries purchased accounts during the 2017-18 season. The Pinty’s Grand Slam of Curling video portal is offered in a responsively designed interface specifically designed for easy navigation on handset and tablet browsers. The platform also operates on PCs and using HTML5 video technology to deliver HD content in adaptive bitrates, automatically providing users world-wide with the optimal resolution for their devices based on their local internet connectivity. International fans with broadband connections can use Chromecast and Airplay technologies to display games on their large screen TVs. The site is at http://gsoc.yaretv.com. The service continues to evolve with fans providing valuable feedback regarding features they would like to see in the future. Next up is the streaming of the 2018 Canadian Beef Masters from October 25 through October 28. Yare addresses changing content distribution models in sports, broadcasting and entertainment. The company focuses on helping organizations implement market strategies that generate new over-the-top (OTT) digital revenues and help grow their audience and brand. Yare offers enabling platforms, transcoding, transaction processing, content delivery services, and casting technologies for organizations wanting to deliver high quality video experiences. Clients include: Rogers Sportsnet, the Canadian Football League (CFL) and Canada West University Athletics Association. The website is at www.yaremedia.com.